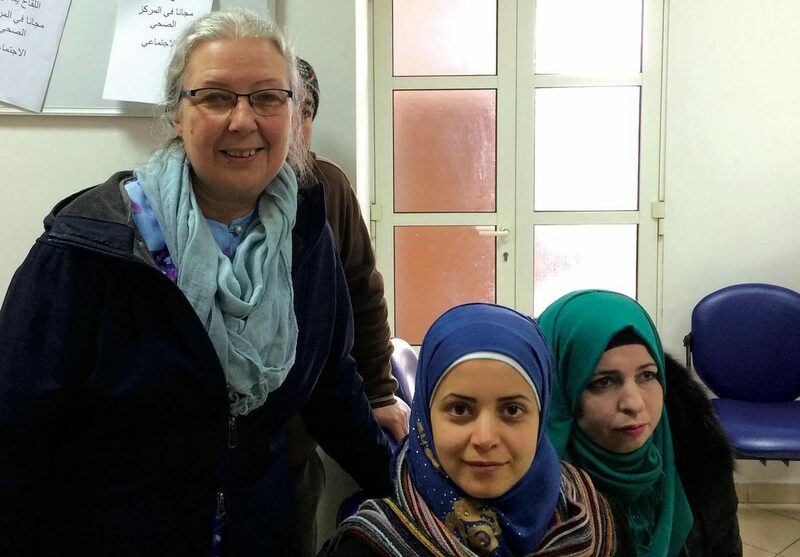 TORONTO (CNS) — Humanitarian aid workers in Syria and Lebanon are exhausted, said Helene Tremblay-Boyko, who recently traveled to the region. It’s not the kind of exhaustion a person feels at the end of a long day, she said. This exhaustion comes from working in the same desperate conditions as the people they serve. From Jan. 29 to Feb. 9, Tremblay-Boyko visited the Middle East as part of a joint delegation by the Canadian Conference of Catholic Bishops and Development and Peace, the official international development organization of the Catholic Church in Canada. A heavy snowstorm hit Lebanon’s Bekaa Valley just days before the Canadian delegates arrived. Tremblay-Boyko said Caritas workers were working around the clock to provide warm clothes and heating systems to Syrian refugees who had settled into empty cinder-block homes with rectangular holes in the walls where windows and doors should be. Most days, Tremblay-Boyko said, the region would have electricity for three hours, then two hours without. Fuel shortages and crumbling state infrastructure result in systematic power outages throughout the day. Tremblay-Boyko said there is a great need for psychosocial support, not only for the people displaced by the Syrian Civil War, but also for the humanitarian workers. After six years serving in the conflict, aid workers are burning out. When a temporary cease-fire in the Syrian city of Aleppo was announced in late December, she said, Development and Peace jumped at the opportunity to organize a trip to Syria and Lebanon to meet with the agency’s local humanitarian partners. “Our purpose was to show our interest and love for them, to meet with church leaders and also to meet with some of the organizations that are helping those people that are affected by the wars,” she said. Bishop Raymond Poisson of Joliette, Quebec, and Ukrainian Catholic Bishop Ken Nowakowski of New Westminster, British Columbia, led the delegation. They were joined by Tremblay-Boyko; Gilio Brunelli, Development and Peace international programs director; and Kyle Ferguson, ecclesial and interfaith relations adviser for the Canadian bishops’ conference. The delegates met with Canadian ambassadors to Syria and Lebanon, the apostolic nuncio to both countries and the Eastern Catholic patriarchs. They also met with Caritas officials and partners who work to feed, clothe and care for the most vulnerable people affected by the Syrian war. Development and Peace, part of the Caritas network, is working with the Canadian bishops to launch an appeal to send support to its Caritas partners in the Middle East. Ko Din is reporter and youth editor of The Catholic Register in Toronto.